First, please do contribute! There are more than one way to contribute, and I will appreciate any way you choose. English and Chinese issues are acceptable, talk in your favorite language. Pull request and git commit message must be in English, if your commit message is in other language, it will be rejected. When you submit an issue, please format your content, a readable content helps a lot. You should have a little knowledge on Markdown. Code talks. If you can’t make yourself understood, show me the code. Please make your case as simple as possible. 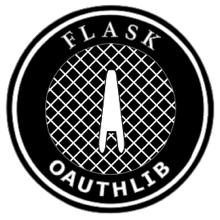 The codebase of Flask-OAuthlib is highly tested and PEP 8 compatible, as a way to guarantee functionality and keep all code written in a good style. Something you should know about git. All branches must be based on the master branch. If your feature-B needs feature-A, you should send feature-A first, and wait for its merging. We may reject feature-A, and you should stop feature-B. And don’t change any code on master branch.